Heat up a large frying pan. 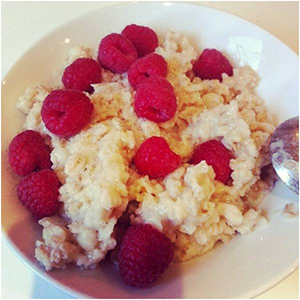 Blend the oats, cottage cheese, vanilla extract and eggs together in a blender. 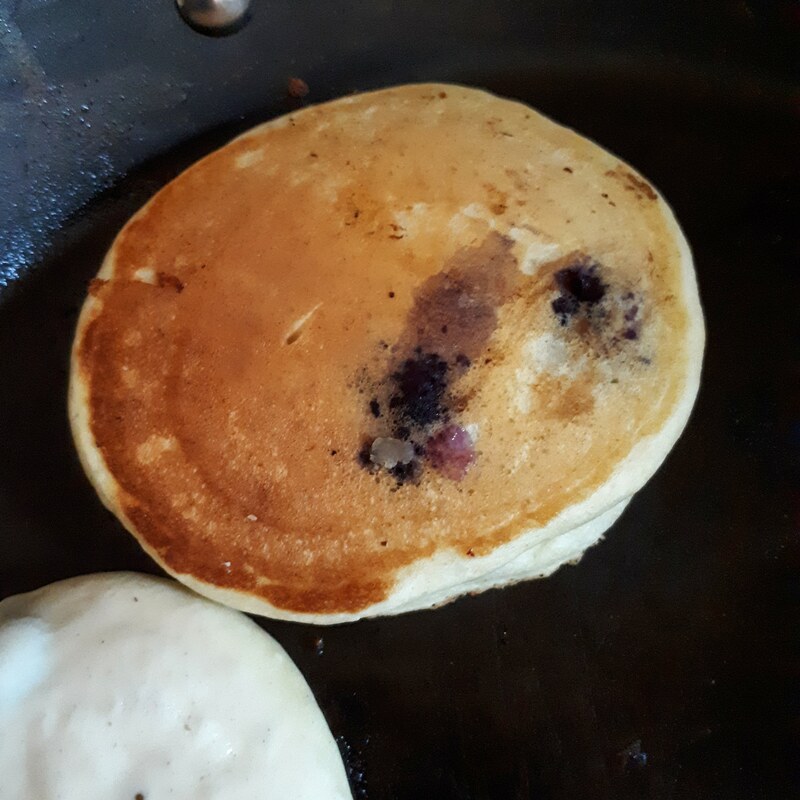 Then add in the blueberries. When the pan is hot, add a little oil, and then fry up the batter. Pour on small amounts at a time. 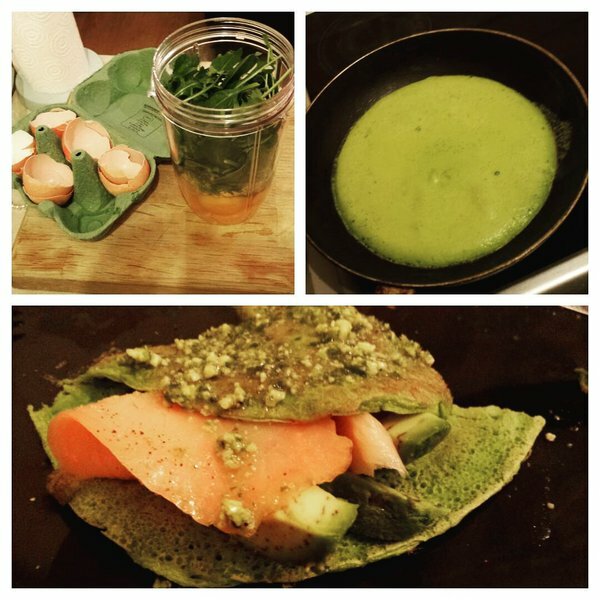 When you see bubbles or the top of the pancake drying out, flip it! 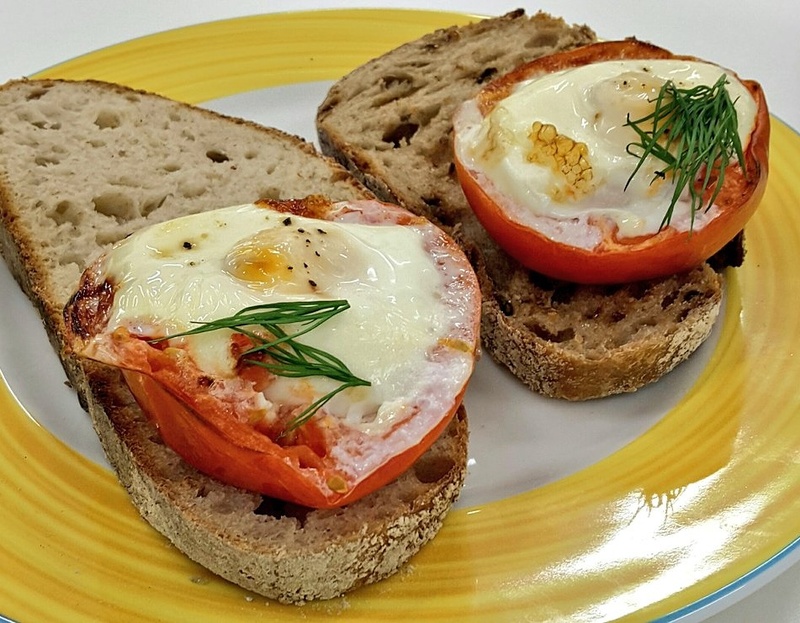 Baked eggs in tomato cups! Place the tomatoes on a baking tray. Spray with oil and season with a little salt and pepper. (Also lovely with a little thyme, rosemary and garlic). Crack an egg into each tomato. 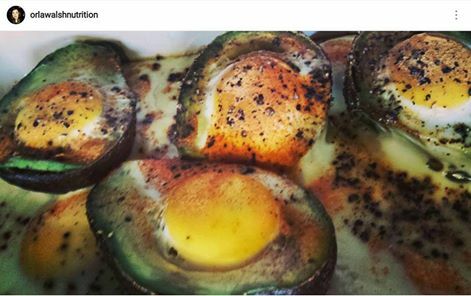 Bake for approx 8 minutes so that the eggs goes firm. Then eat! Lob into a greased oven proof baking dish. Bake at 200°C for about 20 min, or until golden brown. 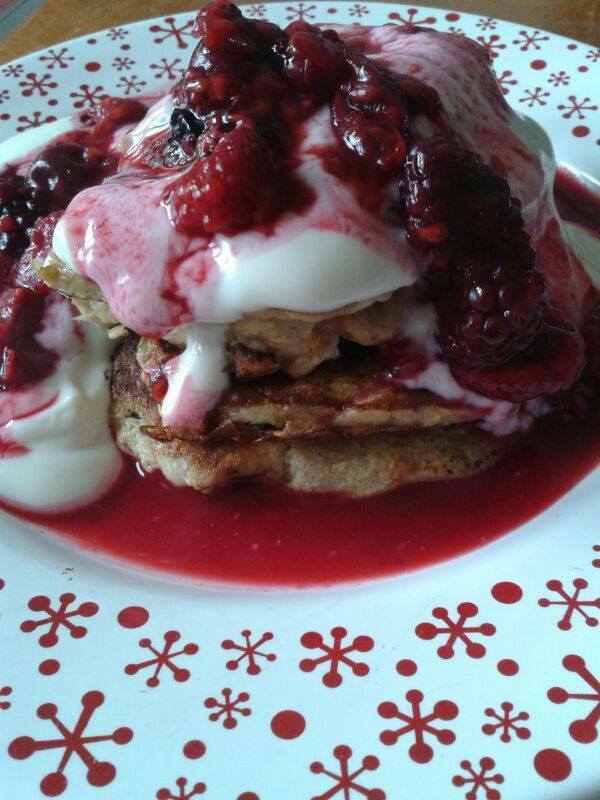 Delicious with greek yohgurt and berries. Add the lentils into a pot of boiling water. Cook for 5 minutes. They go a little see-through. Drain and spread out on a tray to cool. You'll need to wait a while before the next step. Combine the honey, coconut oil and cinnamon in pot and put on a low heat. When melted together, take off the heat and stir in the cooled lentils. Spread the mixture out onto two baking trays lined with cooking parchment and cook for 15 minutes. Add the chopped almonds, stir well and continue cooking. You need to stir them every every 15 mins, for about 1 - 1½ hours, until they turn brown and crispy. I know... effort but worth it. 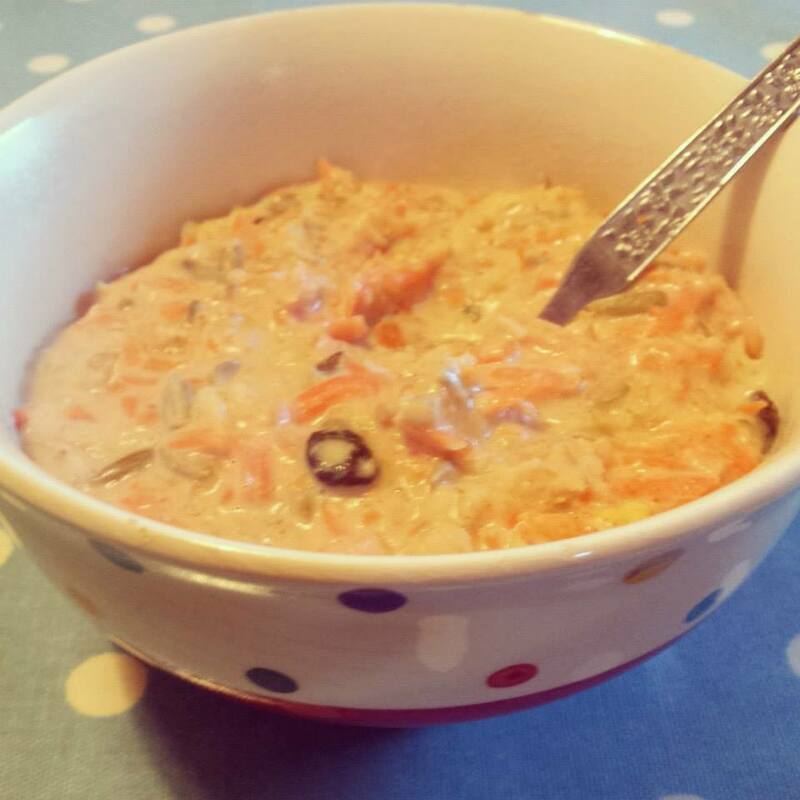 Add the coconut, flaked almonds and seeds and cook for a final 5 minutes. 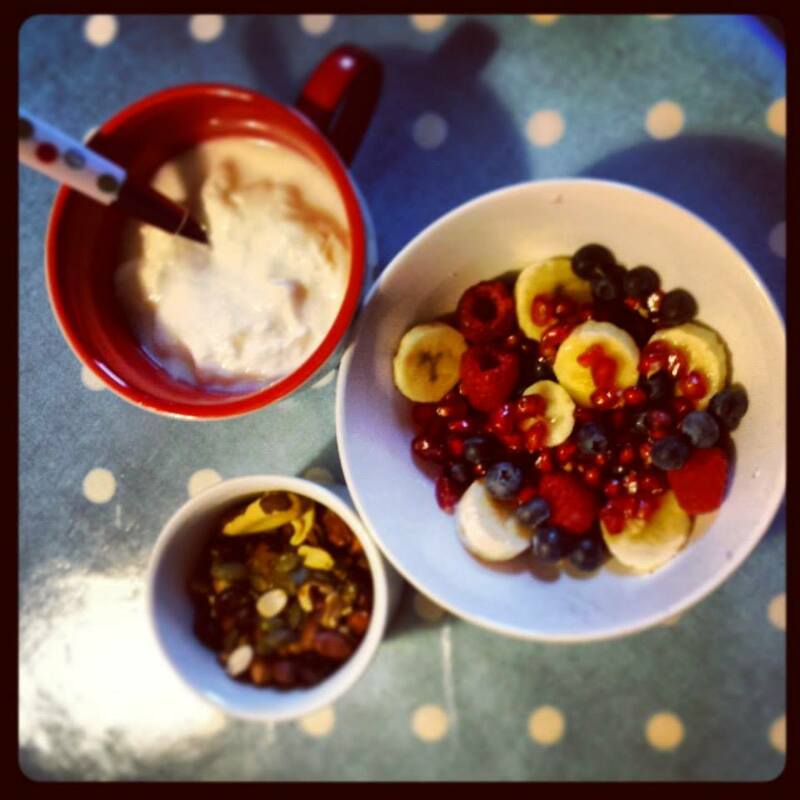 Very easy - just get a tub of low fat greek yoghurt (500g tub). Empty the yoghurt into a bowl. 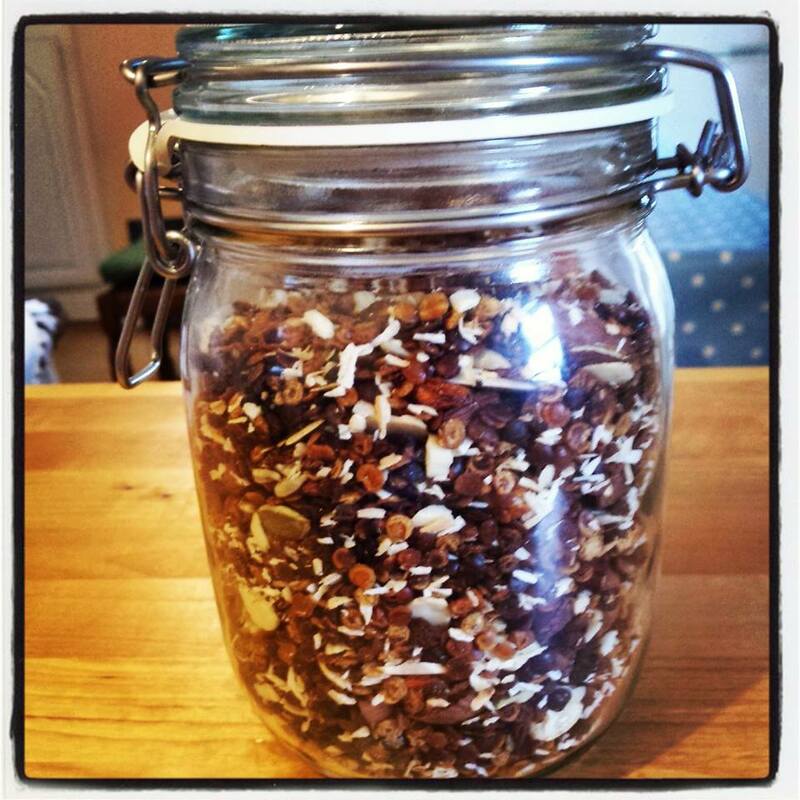 Now fill that tub twice with oats and empty the oats into the bowl each time (about 400g oats). Now add in 100g flaked almonds (they generally come in 100g bags), a few drops of almond extract, 1 tsp of salt and 2 tsp of baking soda. Mix well (you may need to add in a glug of milk if quite dry). Now fold in 1-2 packets of raspberries. 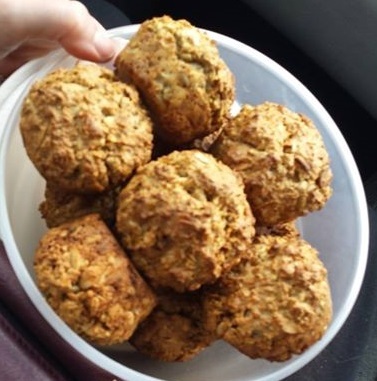 Roll the mixture into balls, place on a greased baking tray and bake for 10 minutes at 200 degrees and another 25 minutes at 170 degrees (time depends on your oven, ya know yourself!). 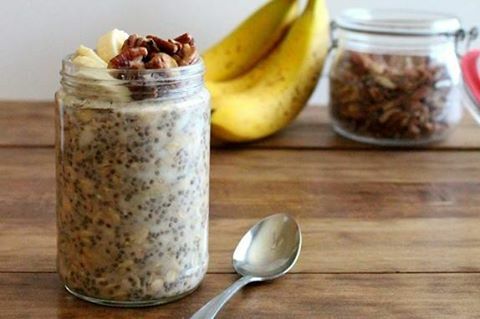 Simply mix in a bowl or lunch box: ½ cup oats, ½ cup natural yoghurt, 1/2 cup milk with 1 chopped banana, 1 tsp honey, 1 handful of pecans, 2 tbsp chia seeds and a sprinkle of cinnamon. 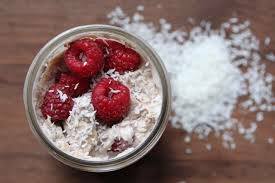 Simply mix in a bowl or lunch box the oats, vanilla ‎yoghurt‬, ‎milk‬, desiccated coconut and raspberries. Leave overnight in the fridge and eat cold the next day! 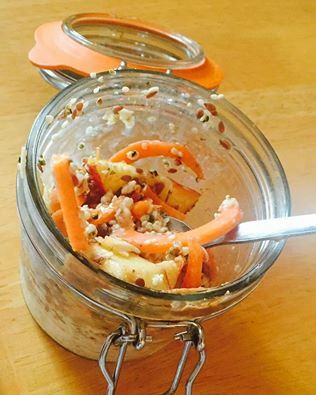 Mix in a bowl or a lunch box (if taking your breakfast to work or school) the oats, vanilla yoghurt, milk, grated carrot, walnuts, sesame seeds, raisins and cinnamon. Leave overnight in the fridge, and eat cold the next day! 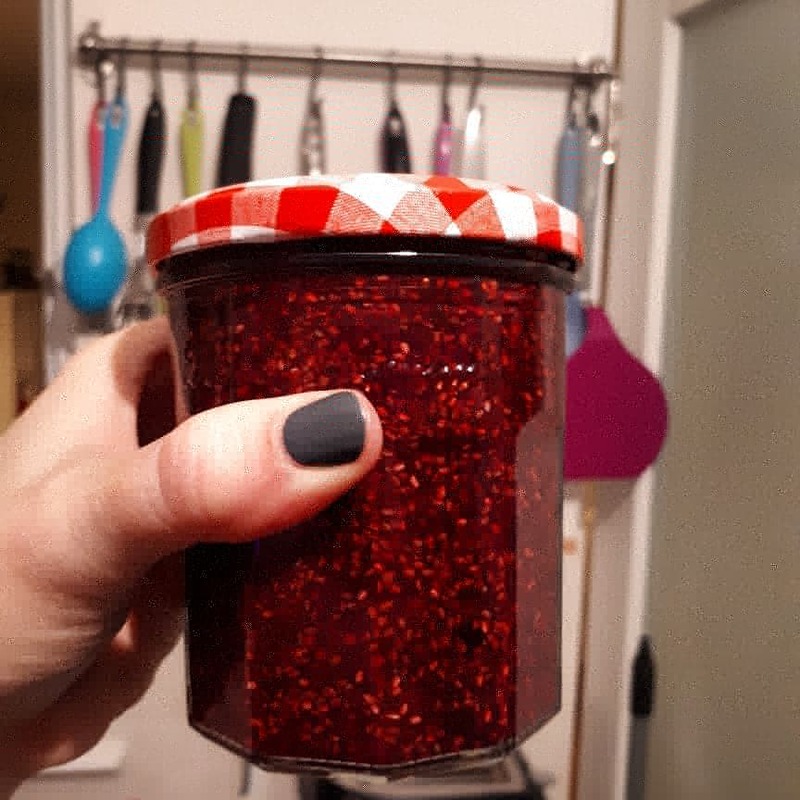 Why not make a big enough batch for a couple of days? 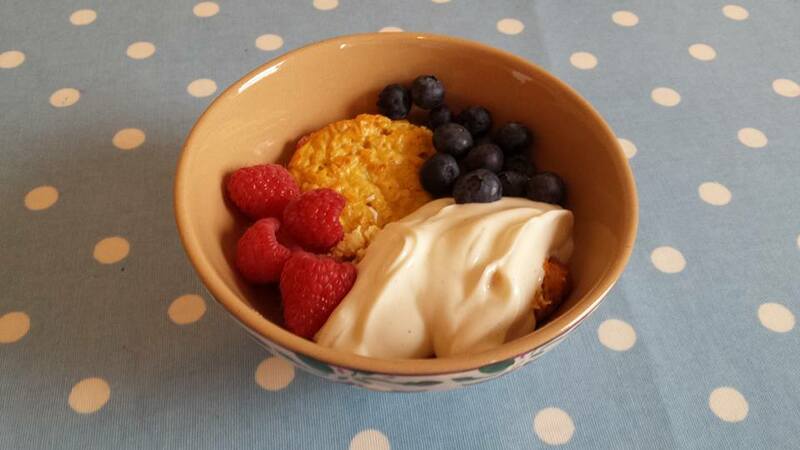 Mix 1 tub of natural yoghurt with two tubs-worth of oats (simply fill up the empty pot twice). Then add in 2 tsp baking powder, 1 tsp salt, few drops of almond extract, and several large handfuls of flaked almonds. Mix well. Roll into balls and place in a silicon baking tray (grease) and cook for about 15 mins at 200 degrees. Reduce to 170 degrees for further 30mins. If you knock the bottom and they sound hollow, they're done. If they don't sound hollow, turn them over and cook upside down for another 10mins. 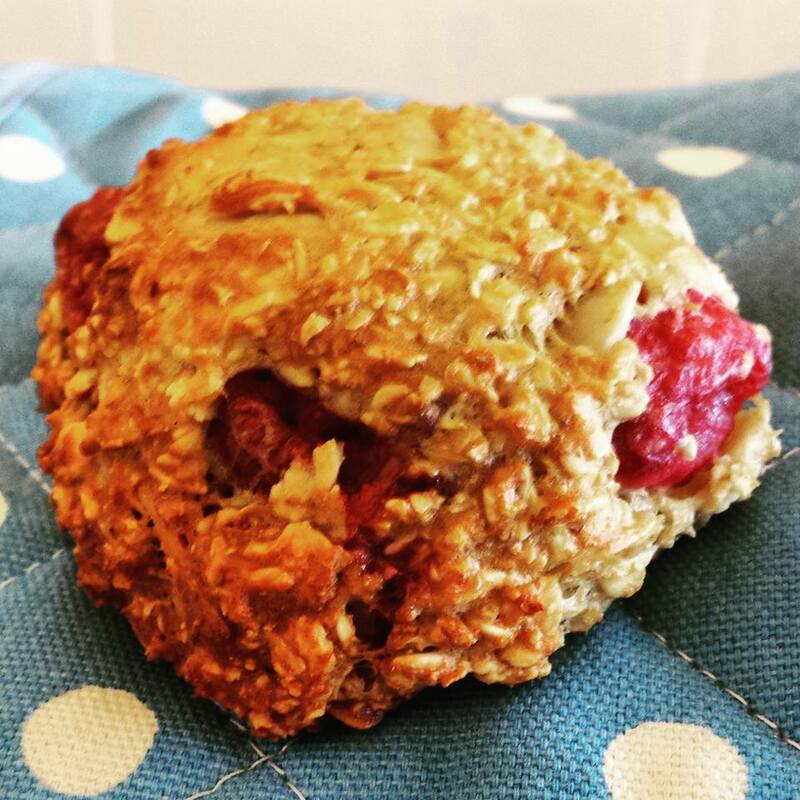 ** could also add cherries or almonds to the recipe! Toast your tasty bread e.g. 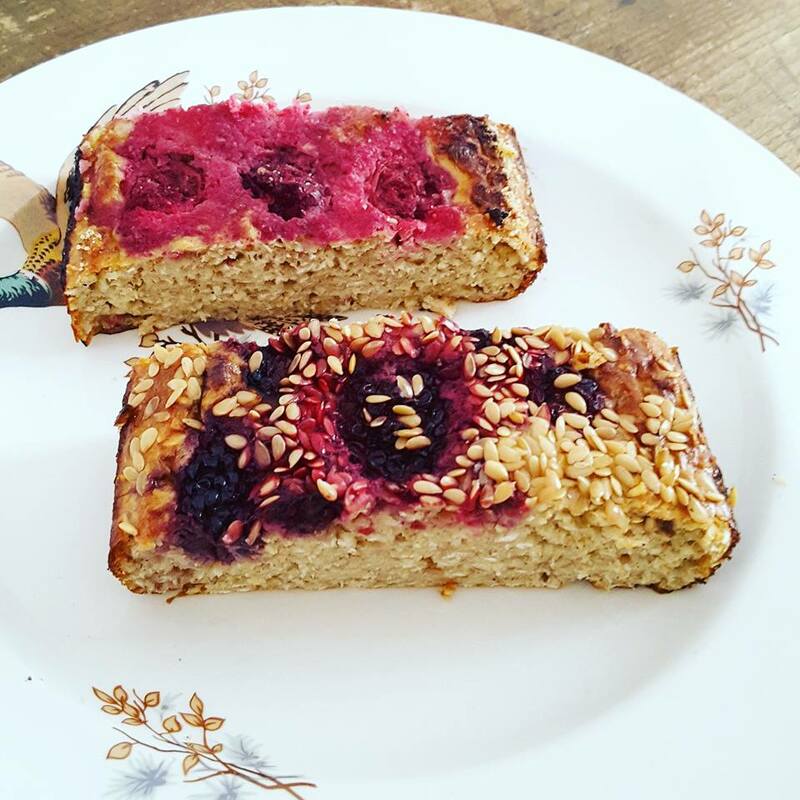 porridge bread (see other recipe), layer with ricotta and berries and sprinkle with cinnamon. Couldn't be easier! Mix altogether and place in a greased dish. Total batch = 1125kcal and 60g protein (serves ~4 therefore 300kcal and 15g protein). 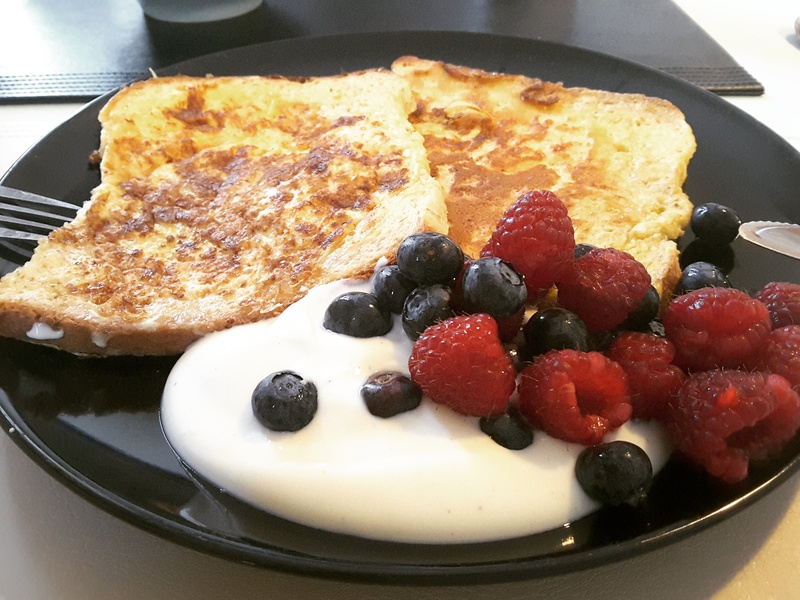 To lower calories use skimmed milk and egg whites. 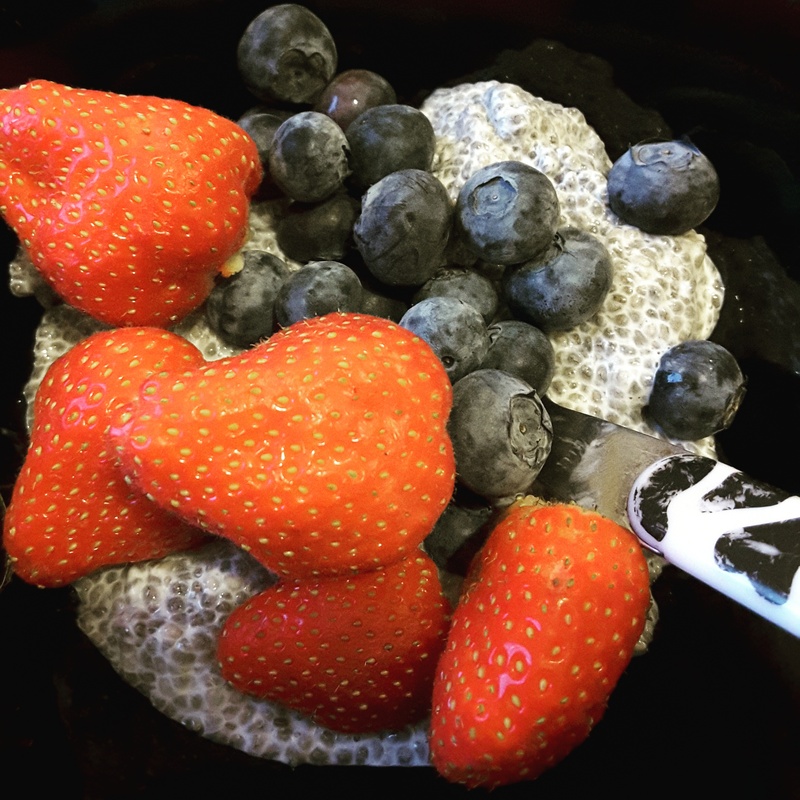 Eat with yoghurt and berries for a protein rich breakfast (20g) and about 350kcal. 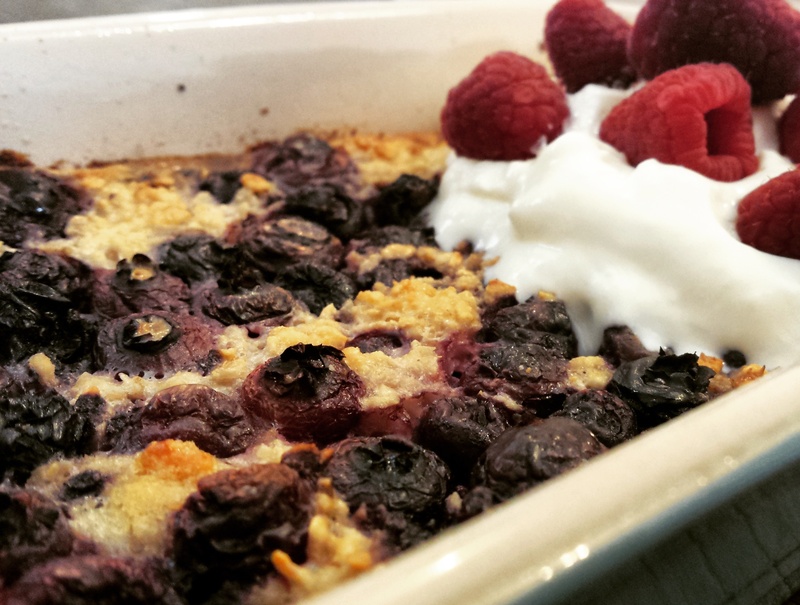 I topped with blackberries & linseeds as well as cherries & ground almonds (used almond extract instead of vanilla). Rub butter into an ovenproof dish. 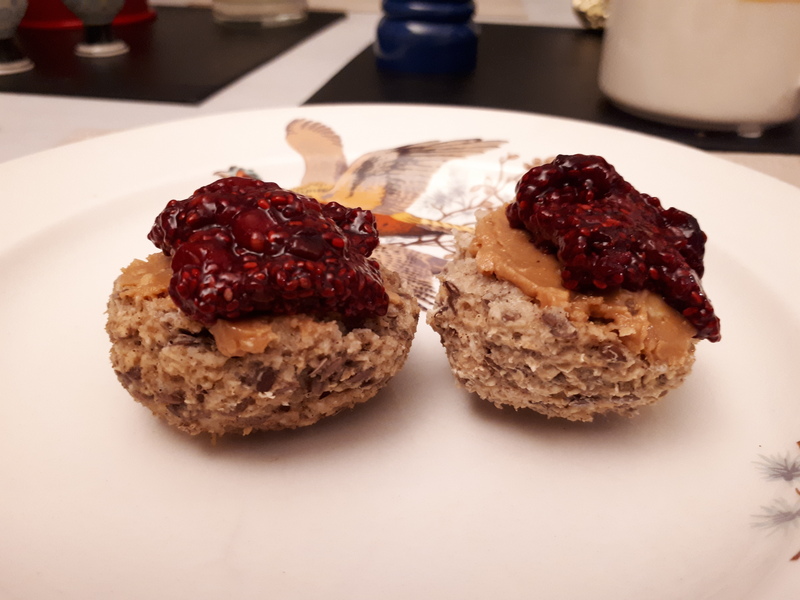 Add oats, vanilla extract, 1/2 tsp cinnamon, 1/2 tsp mixed spice, 1 tbsp golden linseeds to the dish and then sprinkle on some frozen mixed berries. In the morning add the‎ milk‬ and a few Brazil nuts. Bake at 200 degrees for about 20 mins, until golden brown (a perfect time to go have your shower etc...). Smear the bottom of the dish with coconut oil so that it doesn't stick. Add in some skimmed milk powder at this stage if you want to boost the protein content. Add some vanilla extract to flavour it. 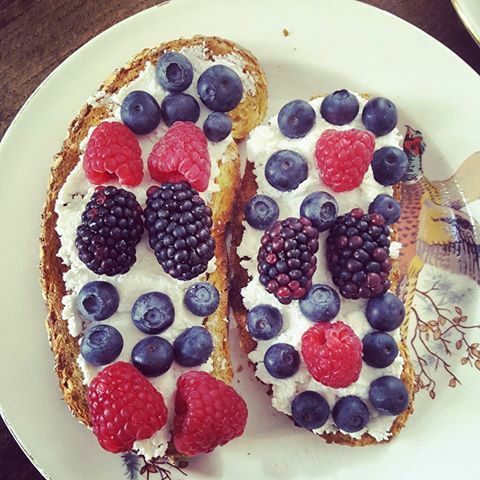 Sprinkle with some sunflower seeds and blueberries. Now pour on the milk. Bake at 200 degrees for about 20 min. Chop and mix: cherry tomatoes, coriander, onion (I use the green part of scallions here as I find them easier to digest), lime juice and black pepper. Preheat the oven to 210ºC. Scoop out some of each avocado half to make a dish for the egg (could add the extra bits into the salsa). Place each avocado in an open proof dish. Crack one egg into one half, and the other into the other half! Bake for about 20 minutes. 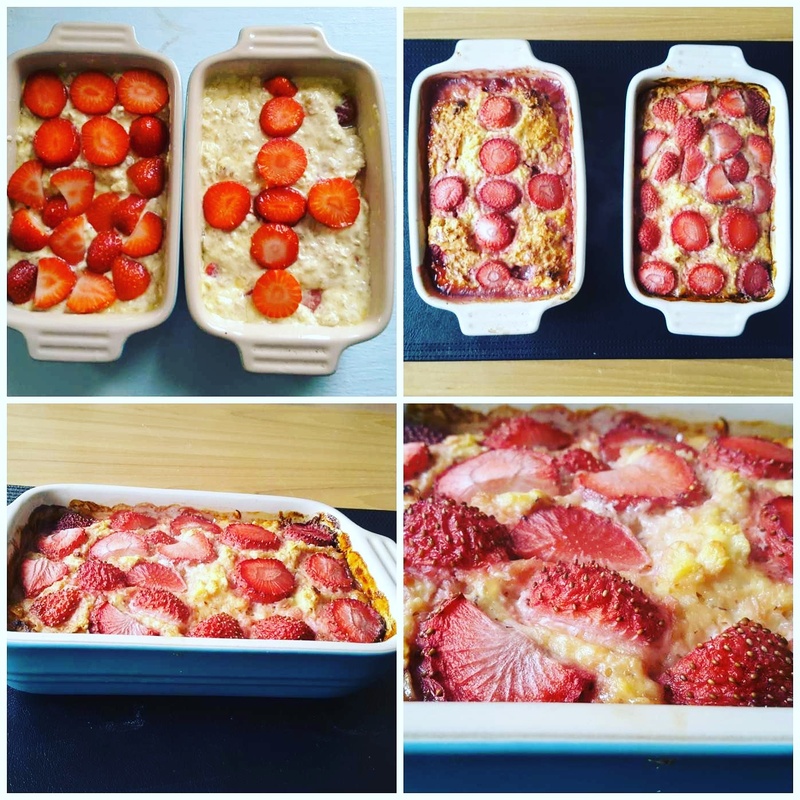 Baked ‪Porridge – the alternative method! 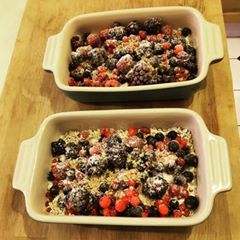 Baked ‪Porridge - the alternative method! Mix the porridge ‪oats‬ with the ‪egg‬, ‪yoghurt‬ and ‪vanilla‬ essence. Place in an oven proof dish. Cook for 30 minutes at 180°C, or until golden brown. 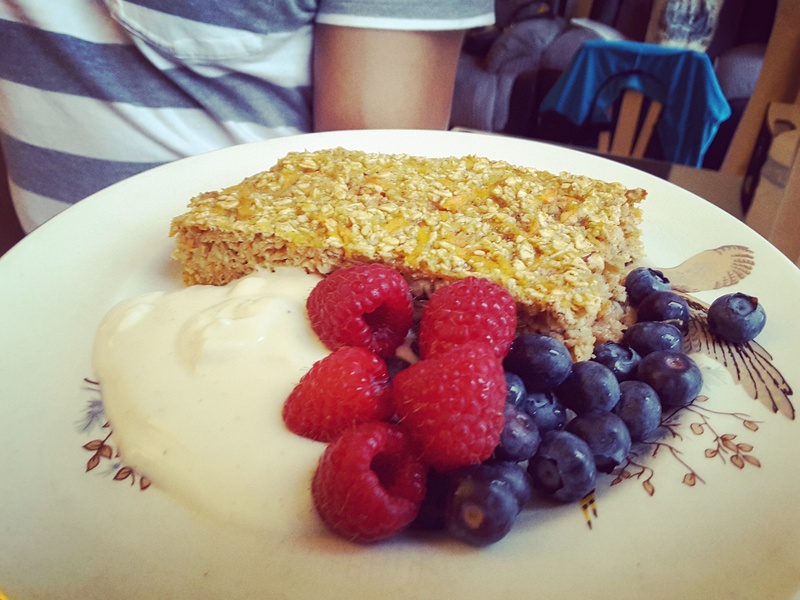 Serve with ‪yogurt‬, ‪nuts‬, ‪seeds‬ or/and‪ berries‬! Add all your ingredients, bar the cherries/ raspberries, to a saucepan. On a low heat, cook until porridge consistency. Add the cherries/raspberries to finish! Mix together, and heat up your ‪‎oats with ‪milk, carrot, ‎raisins, ‪‎walnuts and cinnamon in a saucepan on a low to medium heat. To make it taste creamier and to increase the ‪‎protein content, consider adding in some ‪‎peanut ‪‎butter or some skimmed milk powder.